I have just spent a few days in the modern Middle East cities of Doha and Abu Dhabi. This is the only place I have seen which matches China for just sheer excess of the property market. There are beautiful skyscrapers on what should be worthless land surrounded by barren streets and the odd drip-irrigated palm tree. It's pretty clear what is going on here. These countries see airlines and skyscrapers as symbols of national importance and they build both without regard to cost. But all in all it made me think of the superiority of our Western liberal system. We have bubbles of course - but nothing like this. In Abu Dhabi I saw very beautiful skyscrapers with government employees spread at one employee per 120 square metres. You could play cricket inside the building and nobody would notice. Just empty space. 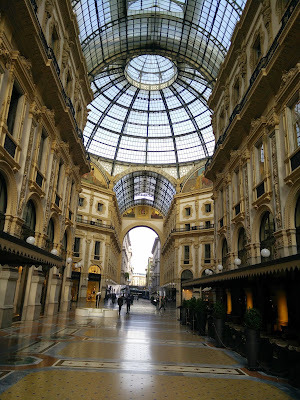 So I get to Milan - and 50 metres from the Duomo I am wondering through a very famous shopping arcade in the early morning. Here is the photo. 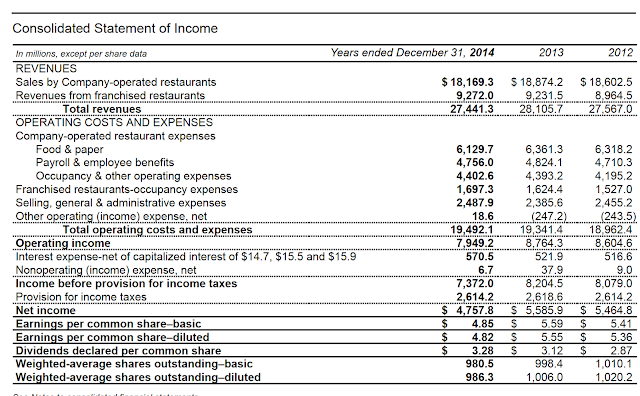 Yeah, there it is, Mickey D's (NYSE:MCD). 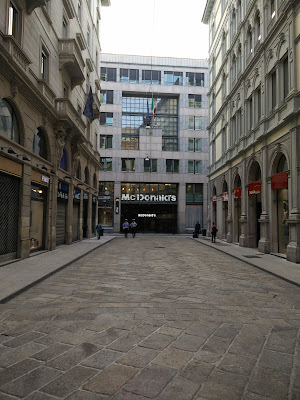 They can't possibly be making money here - just planting the flag amongst all the Italian restaurants. This is a statement of ego rather than anything else. It doesn't have the grandiosity of Doha, but then McDonalds is not as rich as Qatar. The ego/motivation is the same. They would be better off closing this and dedicating the savings to keeping the toilets in the US restaurants clean. But then property has often been a statement of ego - and US mega-corporates are not immune. PS. If Carl Icahn controlled a big stake in MCD this store would close. Carl often brings some rationality to these things.